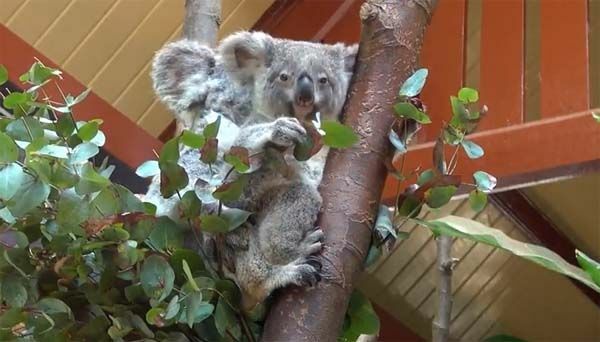 The first video is about koala girl Sydney (Zoo Antwerp) who will move in 2019 to Zoo Dresden. As you can see, she is no longer a tiny little baby, but a very pretty girl. And as always quite self-confident. 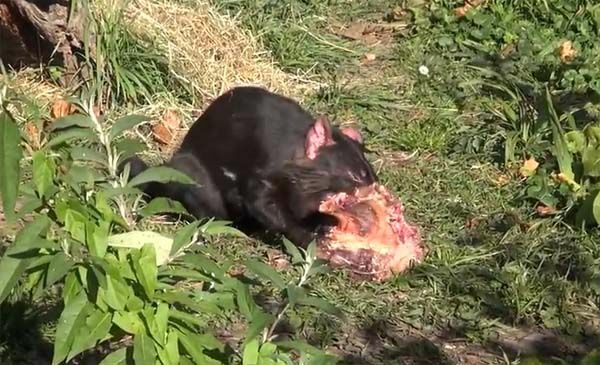 The next video is showing us the Tasmanian devils in Zoo Planckendael. Although these animals are rather night-active, they are interested in food during the day. And most of all, it is more than obvious that they are preferring to live on their own (no neighbours please!!). Even they look funny, they are per definition not cute and one thing is for sure, they produce a lot of noise. The photos are screenshots from the videos. Thank you so much for the news and the lovely videos from Antwerp and Planckendael! Oh my, Sydney is a big girl now and soon the cutie will move to Dresden. I wish her already a happy life in her new home! I’m sure she will charm all the visitors there. Thank you for the text and the delivery of this charming report! 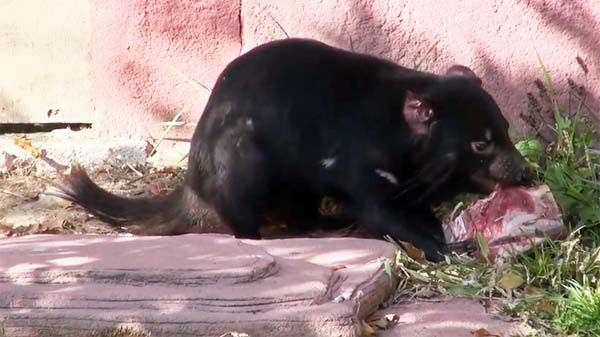 Put the Sound “ON” for The Tasmanian Devils video. You will know that Australia has a special place in the hearts of Brits. It is a land of possibilities and big-hearted people, and animals. The Koalas and Tazi Devils are symbols of Oz, as the Australians refer to their country. I am glad that Belgium, a country close to the hearts of generations of Brits and Aussies, has given these animals a home. I gather Scotland is also now part of the story. aber bis dahin ist noch ein bisschen Zeit. Den Tasmanischen Teufeln möchte ich nicht im Dunklen begegnen und ihr Geschrei ist wirklich abschreckend. Danke dir und auch Cecile & Jos für die schönen Bilder und Videos! 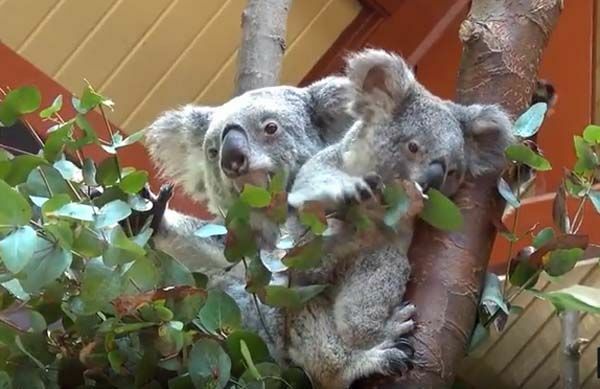 Koalas are very cute fur balls: they look like the teddy bears! I like to watch, how they sleep on the trees. I have read that koalas also are good swimmers, but I have never seen them swimming. Thank you for this nice report! thank you for the wonderful videos. Liebe Patricia, Cecile und Jos! Die kleinen Teufelchen sind suess, kaum zu glauben, wie die schreien können. Die Dresdner können sich freuen, so ein hübsches Koalamaedchen zu bekommen. Danke für die wunderbaren Bilder. Dear Cecile and Jos, dear Patricia! Thank you for bringing us the pics and videos of those extraordinary animals from Australia. Patricia, thank you for the subtitles! 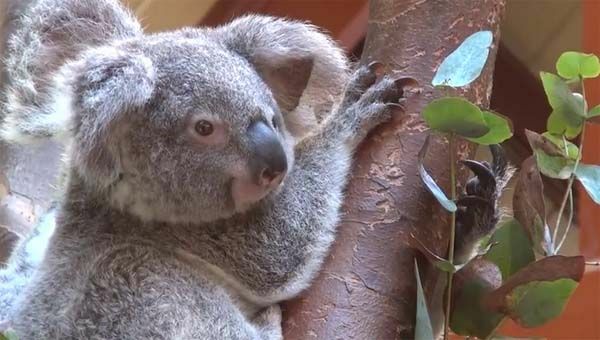 Sydney has grown a lot and her mother Guwara will be for sure quite relieved when she is not used as a taxi anymore… The Dresden Zoo most probably must look forward to get this pretty koala girl. 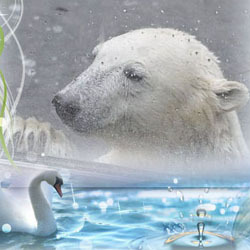 Thank you for sharing your videos and latest news from Zoo Planckendael and Zoo Antwerp with us. It is always my pleasure to add a few words and to forward it to Mervi. Dear Mervi, you are a SUPERSTAR. It is now for quite some years that we all 4 are working like this. It is a pleasure to receive the videos of Cécile and Jos. It is my challenge to add some words. It is great to forward all to you. But it is AMAZING what you prepare in the end. And most of all, it is wonderful to notice how many people do like it. 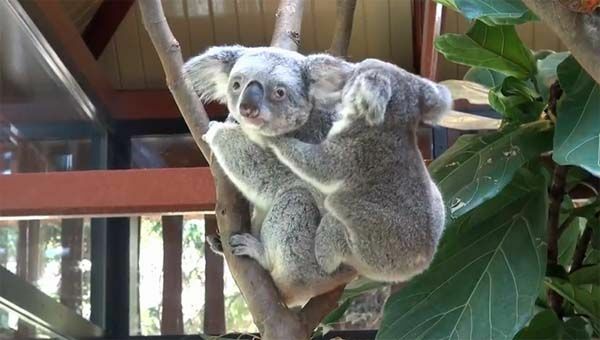 Koalas sind mit ihren Pusschelohren einfach nur niedlich! 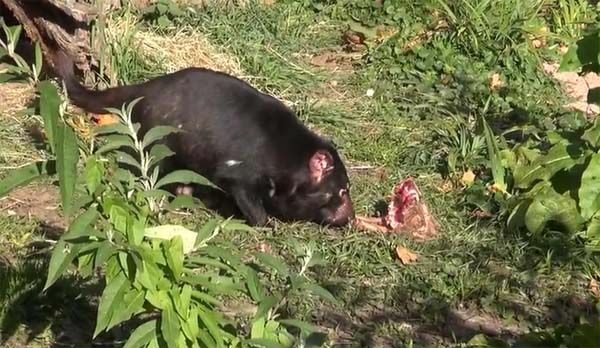 Die Tasmanischen Teufel finde ich gar nicht so negativ, sie sind vom Aussterben bedroht und gut daß einige Zoo´s diese seltene Tierart erhalten wollen. Vielen Dank, sehr schöne Bilder und Videos! danke für die wunderschönen Bilder und Videos von den putzigen Koalabären. Tasmanische Teufel haben etwas von einer Ratte, aber ein niedliches Gesicht. Log in | 52 queries. 0.792 seconds.